CDE Collision Now Offers Auto Body Repair Valparaiso! CDE Collision Centers welcomes the customers of Autowerkes Collision Center in Valparaiso, IN! March, 2016 Autowerkes Collision Centers became a member of C.D.E. Collision Group. 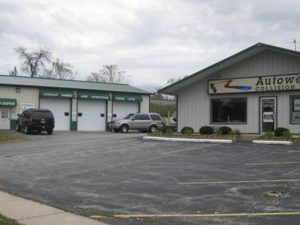 The two Autowerkes locations in Valparaiso become CDE’s 12th and 13th locations, and the 4th and 5th locations in Indiana. Our auto body repair Valparaiso facility focuses on quality repairs and top of the line customer service.